Get even light distribution and crisp highlights with this 72" Para-Pro Reflective Umbrella from Phottix. By using a silver interior with a black backing, light will be reflected evenly onto your subject. Also, this umbrella features white fiberglass ribs for a cleaner light and durability. It comes with a carrying case for convenience. 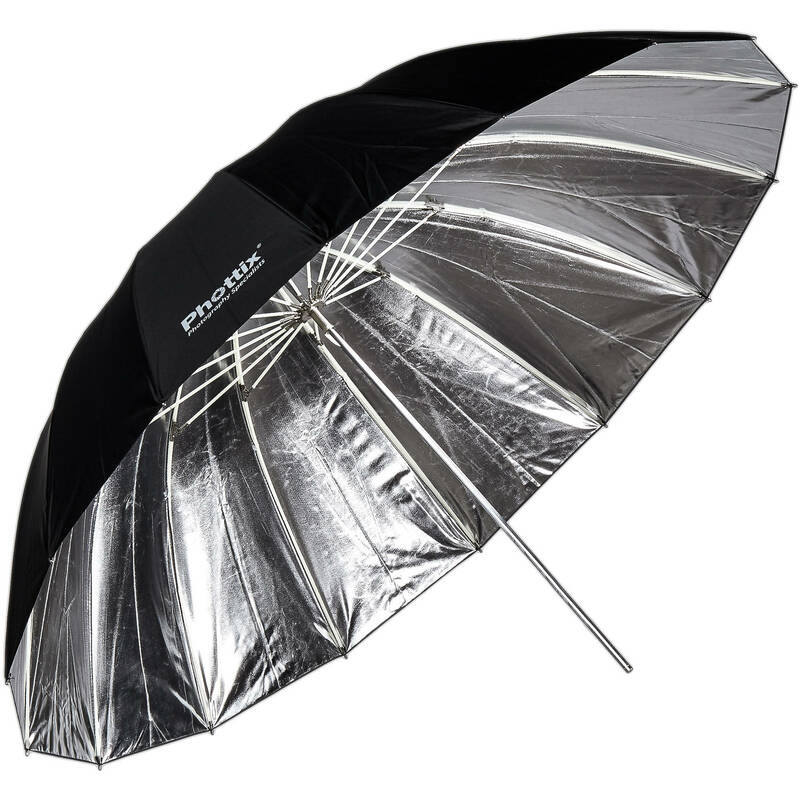 Box Dimensions (LxWxH) 44.0 x 4.5 x 1.3"
72" Para-Pro Reflective Umbrella (Silver/Black) is rated 5.0 out of 5 by 1. Rated 5 out of 5 by JM-Dallas from Awesome umbrella - huge soft balanced light I tested this against the Profoto umbrellas and found that this gives a better and more even light if that is the goal. The price is right. From what I could tell they appear to be made of the same materials and same quality. As you can imagine this umbrella would be very subject to wind forces so I can't really see using this outdoors. If so - a lot of sandbags and a very heavy duty stand would be required. The same basic light pattern but a little wider comes from the Indra 500 using the standard 7 reflector. Really depends what you're trying to accomplish.